Do you have trouble getting women to respond to your messages? The truth is...the majority of men who sign up to dating websites never get even one date. This can be very damaging to your ego and can make for a lot of lonely nights. The solution is to learn how to see the online dating game from the woman's perspective. To get inside her head so we can know what she's really looking for. With this mind-set, you'll have the insight to properly target the women you want and eliminate the obstacles that prevent her from seeing the real you. 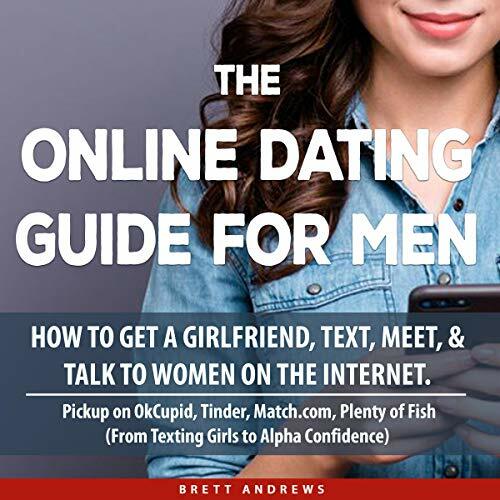 This audiobook will teach you how to meet women online. We will teach you how to avoid the typical online dating pitfalls that are keeping you from finding the woman of your dreams. The simple messaging strategy that has been proven to get dates - touted by the inventor of OkCupid himself, mathematician Christian Rudder. What evolutionary psychology has to tell us about how women experience attraction to a new man. The four reasons why women respond positively to men online. The one paragraph you must include in your dating profile to signal your values to a woman. How to build the right "dating mind-set" and eliminate dating anxiety. The secrets of dating-site photography and how to use the "Wisdom of Crowds" to select your best photo. Finally, how to build a genuine connection with a woman online. The Online Dating Guide is full of tips and tricks that will create an immediate positive impact on your dating life. Instead of just telling you to do something, we provide practical, science-based actions that create long-lasting changes in your love life. Would you like to learn more? Get the audiobook today!